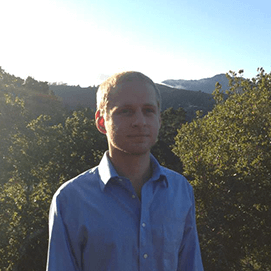 Jeremy is a Marin County native and currently works in Northern California where he teaches the 8th grade primarily in Science and Math. He is currently working on his Master’s in Physics but continues working with Ruskin Consulting as both a PPC and SEO specialist as well as a client manager. Jeremy is extremely ambitious and is also buying and selling property in Northern California. On his spare time Jeremy enjoys taking long nature walks with his dog Pepper, going to music festivals, and generally knowing all he can about Physics and Online Marketing. Jeremy is a long-time entrepreneur; he sold Beanie Babies, War Heads, Fire Extinguishers and much more as a kid. Jeremy has continued this trend to this day and has been involved with companies as a consultant for Ruskin Consulting to help clients see all the potential there is to market their business.